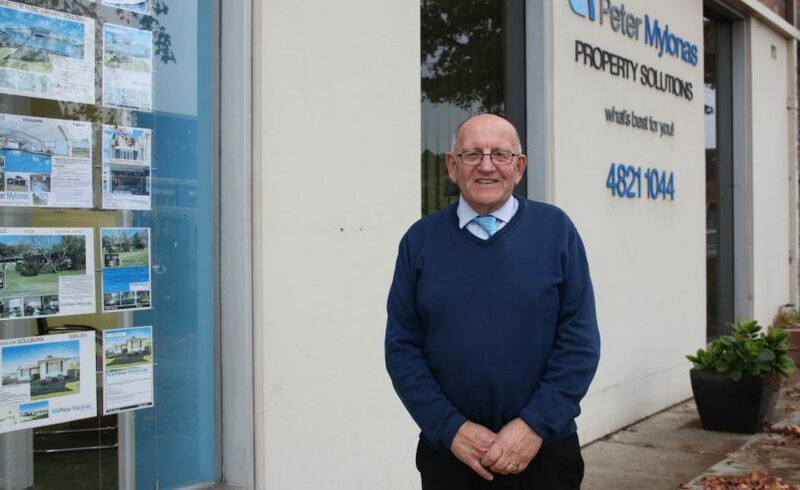 Long time Goulburn resident, community advocate and real estate agent Peter Mylonas is seeing a rise in investor focus in the Goulburn Mulwaree region. Goulburn is attracting attention not only for its strong housing and residential land market but also for industrial and commercial real estate, with investors moving to capitalise on its growth potential and affordability. In the past 12 months 553 houses have been sold in Goulburn with a median sale price of $408,000, up 6.96% annually. That rise is ahead of the national average of 4.30% according to real estate data provider propertyvalue.com.au. A strong market is in line with upward population trends and it’s a momentum that will continue, Peter Mylonas of Peter Mylonas Property Solutions said. “From a real estate perspective, we are attracting some big players and they are endorsing Goulburn through their multi-million dollar developments,” Peter said. “We have the $17 million residential and commercial redevelopment of the former Marian College school, and there are some big players at Marys Mount [residential developments]. While predictions for 2018 include a quieter year for the housing market, at least in the capital cities, demand for industrial land in Goulburn is increasing, largely driven by skyrocketing rentals in Sydney. “Our industrial land enquiries have picked up and that interest is coming from Sydney. Industrial land in Sydney might be $1,000 per square metre, yet in Goulburn it can be $100 per square metre. Industry is being forced out of Sydney,” Peter said. The Goulburn Mulwaree Council is proactively undertaking investigation and review of land development, heritage preservation and housing variety and supply under its ‘Growing and Sustaining Goulburn Mulwaree – Your Future, Your Say’ program. Population growth, infrastructure requirements and community needs are all in scope. With the Goulburn Mulwaree Local Government area hitting 30,438 and population drift flowing from Sydney and its outer regions, now is the time to plan infrastructure requirements. Located just 195 km from Sydney, Goulburn will likely be impacted by the NSW Government’s plans to create a new town in Wilton in the nearby Wollondilly Shire, with around 15,000 new homes to be built over the next 20-30 years. 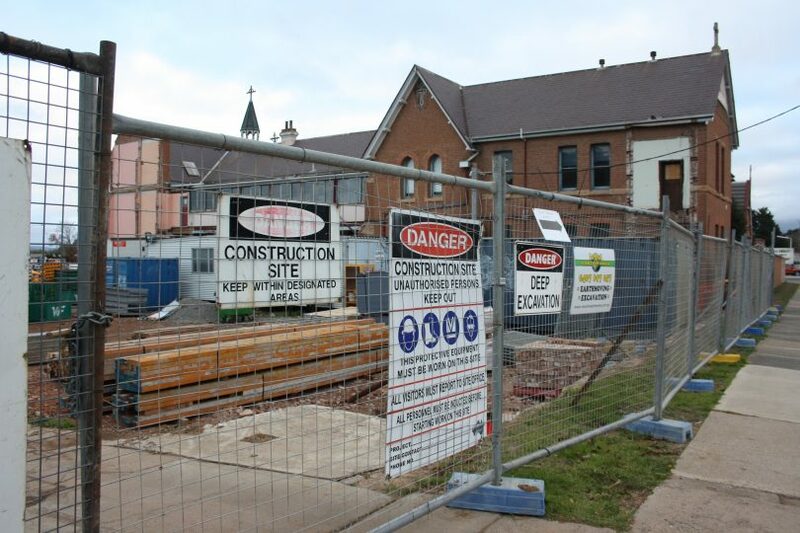 The former Marian College school site within Goulburn’s CBD is undergoing a $17 million residential and commercial redevelopment. Equally, the development of Sydney’s second airport at Badgerys Creek may have a flow on effect, with predictions of 11,000 new jobs during construction and a further 27,000 when the airport is operational – pushing housing prices in the Macarthur region up. “We need to start planning our infrastructure requirements now and rail services will be a key. Our rail system was intended for the last century. Better transport services will connect us not only with Sydney but Canberra as well. I believe a fast train connecting Canberra, this region, and the Southern Highlands to Sydney will be a reality. It’s just a question of when,” Peter said. For Peter, a strong community advocate and volunteer, there are no surprises in current investor focus. “I’ve been saying for 15 years that ‘Goulburn is a city sought after’. It has lifestyle and space and friendliness. It’s still small enough, where you can make a difference in your community if you want to, and we’ve still got that personal touch – we are not so overcrowded that you are insignificant,” he said. Goulburn Mulwaree Council has steadily been focussing on improving amenity, and undertaking consultation and planning for the future over the past couple of years. A new Performing Arts Centre, upgrading of recreational areas and CBD enhancement are just some of the improvements either completed or under construction.